Segment: South Mt. Waterman Trail between Three Points and the junction with the Twin Peaks Trail. Stats: From Three Points to the junction with the Twin Peaks Trail: 5 miles, 1,555′ of gain, 275′ of loss. From the junction with the Twin Peaks Trail to Three Points: 5 miles, 275′ of gain, 1,555′ of loss. Round Trip: 10 miles, 1,830′ of gain and loss. Three Points to Mt. Waterman Loop: 11.3 miles, 2,520′ of gain and loss. 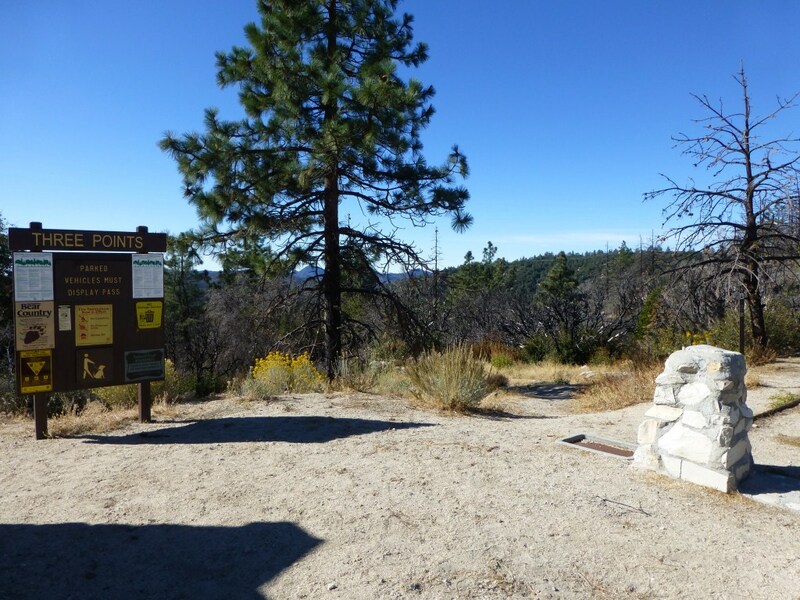 From the parking lot at Three Points Trailhead, follow the trail down to Angeles Crest Highway. This part of the Trail is also the Pacific Crest Trail. The trail then crosses Angeles Crest Highway. 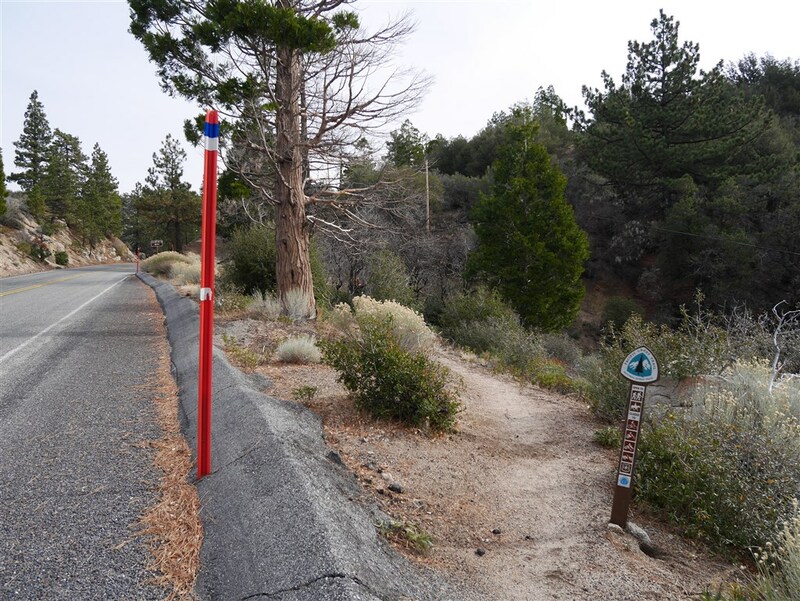 The trail sign across the highway will say Pacific Crest Trail and Silver Moccasin Trail. There is a split further up that is the start of the South Mt. Waterman Trail. View of trail sign across Angeles Crest Highway. 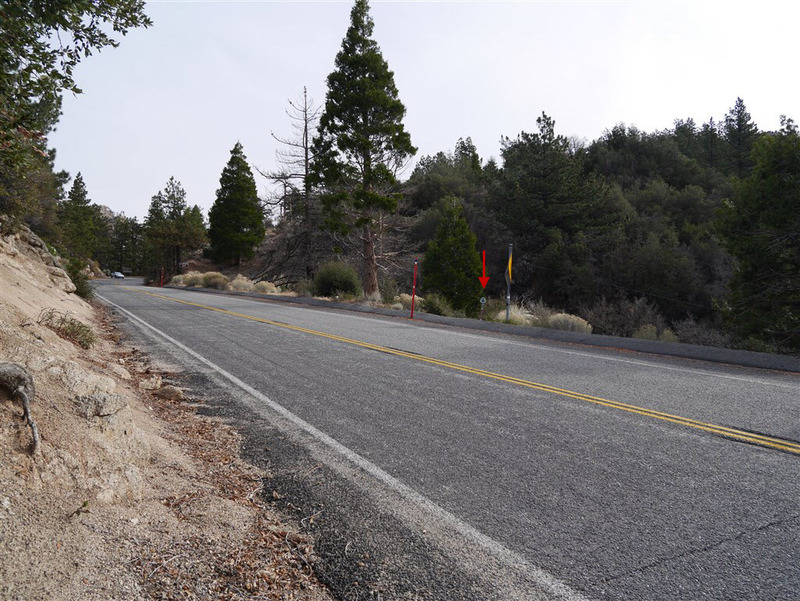 After crossing Angeles Crest Highway from Three Points, the trail reaches a junction where the trail on the left is the PCT and the trail going up and to the right is the South Mt. Waterman Trail. Follow the South Mt. Waterman Trail. View of the junction of the PCT and the South Mt. Waterman Trail. The trail then leads to the junction with the Twin Peaks Trail which goes down to the right. To Continue on the South Mt. Waterman Trail, go straight and up. View at the junction of the South Mt. Waterman Trail and the Twin Peaks Trail.